Melbourne Madness parties are like no other! 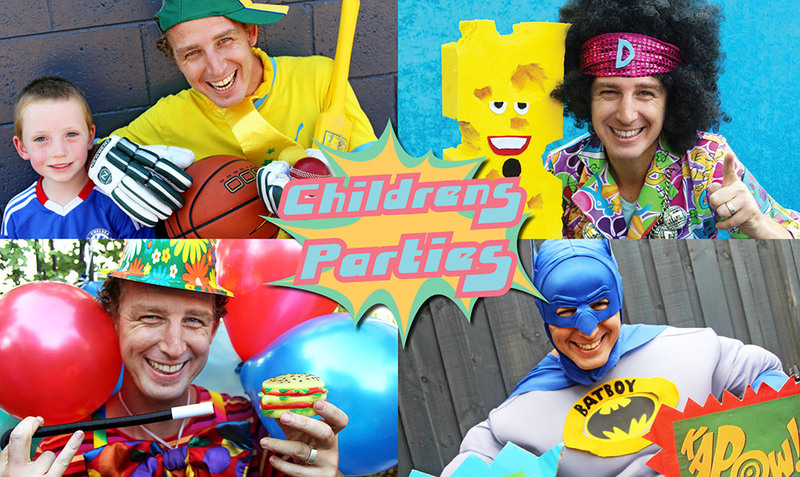 Filled with laughter, music, magic and mayhem we’ll ensure that your child’s party is loads of fun! Choose from some of our hilarious characters! 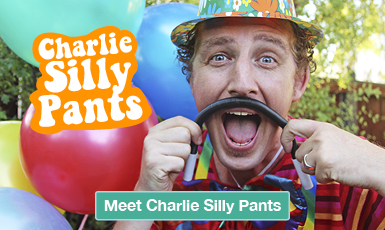 Charlie SillyPants – Magic, Music, Mayhem, Laughter and just plain “Silliness”! 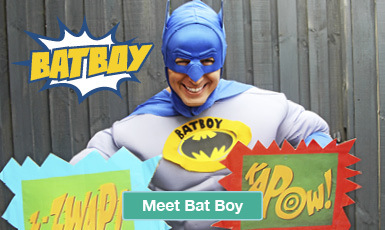 Batboy Superhero show – Superheroes! Magic! loads of fun! Batboy has come to eat cake and junk food, but not if “Mr Invisible” has anything to do with it! Come on a hilarious journey to Gotham City as Batboy reluctantly tries to catch the Invisible man, but can’t do it alone he needs lot’s of Superhero’s to help! 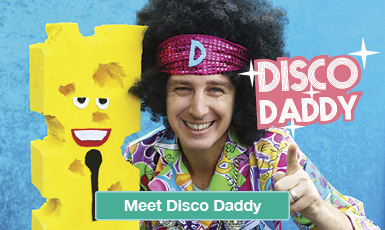 Disco Daddy – Disco! Music! Dancing! Laughter! 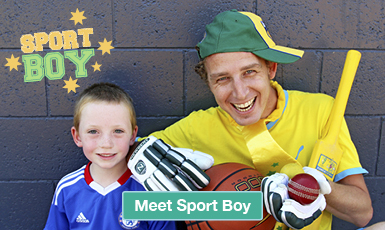 Sport Boy – Sport! Games! Energy! Laughter! 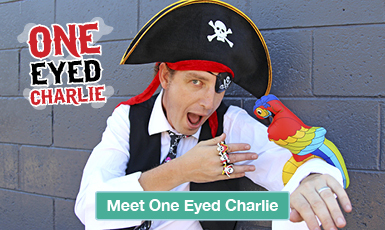 One Eyed Charlie – Pirates! Puppets! Magic! Laughter!